The Andhra Pradesh EAMCET results were released on Wednesday afternoon at 12 noon. 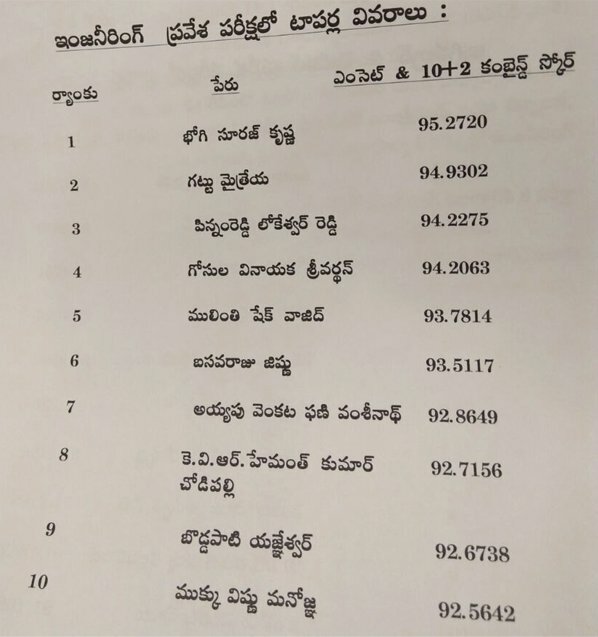 AP Human Resources Minister Banja Srinivasa Rao has released the results in Vijayawada. 1,38,000 were Qualified in AP EAMCET 2018 this stood at 72.28 percent PassMark. As many as 1,90,924 students appeared for engineering entrance exams this year and 73,371 people attended the Agri and Medical exams. As many as 8,529 candidates were not given ranks though they qualified in the entrance test, because they had failed in intermediate (Class XII) examination. The 224 objections to the previously released EAMCET Answer Key, the Expert Committee will examine them and clear the objections, Minister Banja said. This time, I am passing the EAMCET’s eligibility criteria. 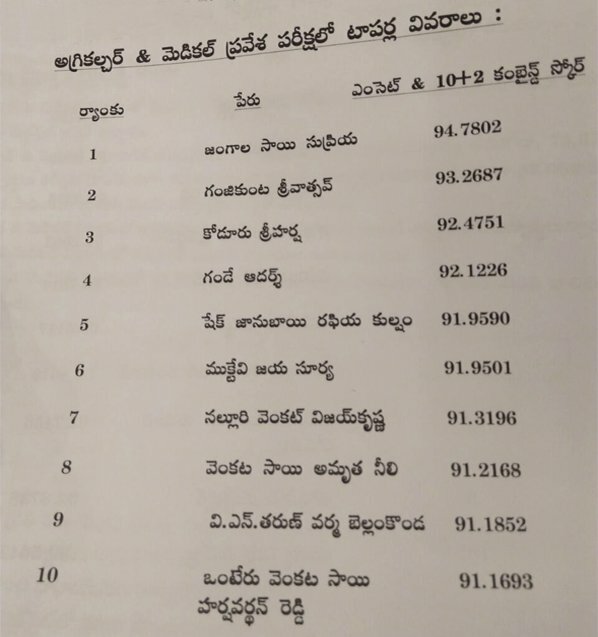 Bhogi Suraj Krishna (95.27 percent) was the first rank in engineering, while the second rank was Maitreya (94.93), third rank Lokeshwar Reddy, fourth rank Vinayak Vardhan (94.20) and fifth rank Sheik Vajid. The counselling for admission into engineering and agriculture colleges would begin from May 26. Classes would commence from June 11, the minister said.